Tuaw takes a look at Equivalence [App Store] for the iPhone. Equivalence is a conversion tool "for engineers" designed by one of our forum members. 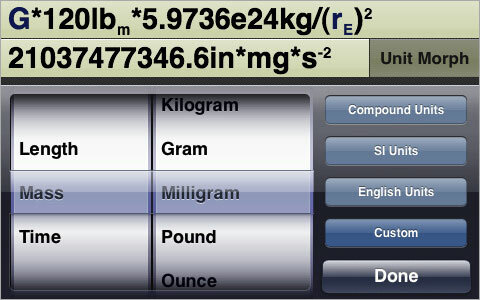 TUAW concludes that this is the best unit converter for the iPhone. The app is priced at $4.99 and is available in the App Store: iTunes Link. Update: The app will be on sale for $1.99 until October 6th. The change may not have yet propagated to the App Store.